…any questions?!?! Don’t think so…. 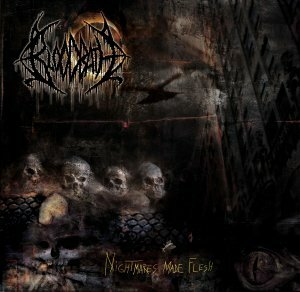 I was a little bit disappointed about the first longplay “Resurrection through carnage” because in my opinion the songs didn’t have the quality I dared to expect from these metal “icons”, and thought that “Nightmares made Flesh” also wouldn’t be the so loud clamed “killer”. But this time, I can say to be very positively surprised! 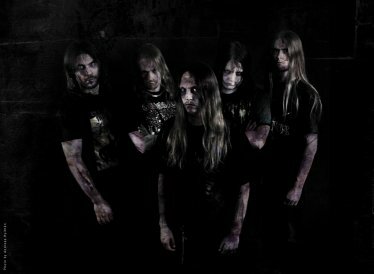 Bloodbath have left the path of old school Swedish death metal (in the stile like for example Entombed’s “Left hand path”), and have developed their music to a more modern and fresh dimension. I might say the production of this longplay sounds quite perfect. The drums kick, the guitars are fat, the vocals of Peter Tägtgren (I might also name him God himself!) sound even more brutal as in early Hypocrisy days! The compositions are very tight with many very good hooklines and a quite powerful riffing (I propose to check out “Soul Evisceration” to get into Bloodbaths new dimension of horror!) even if sometimes I miss a little bit of fantasy in some parts. It seems that the band is thinking about the possibility to make some gigs, so I really hope to see them on stage, this could be an event that none of us should miss!